The Economist, a leading source of analysis on international business and world affairs, today announced "Open Future", an editorially driven initiative (economist.com/openfuture) which aims to remake the case for The Economist's founding principles of classical British liberalism which are being challenged from all sides in the current political climate of populism and authoritarianism. "Although the world has changed dramatically since James Wilson founded The Economist to fight against the Corn Laws, the liberalism we have championed since 1843 is as important and relevant as ever," said Zanny Minton Beddoes, editor-in-chief, The Economist. "Yet the core tenets of that liberalism—faith in free markets and open societies—face greater resistance today than they have for many years. From globalisation to free speech, basic elements of the liberal credo are assailed from right and left." ⏩ In addition to content from The Economist editorial staff, the Open Future hub will feature commentary from outside contributors, including from those with dissenting points of view. The initiative launches with a debate between Larry Summers and Evan Smith about no-platforming and free speech at universities. Mr Summers is the Charles W. Eliot University Professor and President Emeritus at Harvard University. He served as Secretary of the Treasury for President Clinton and as the Director of the National Economic Council for President Barack Obama. Evan Smith is a Research Fellow in history at Flinders University in Adelaide, Australia and is writing a book on the history of no-platforming. A special report on the future of liberalism written by editor-in-chief Zanny Minton Beddoes will appear in the newspaper's 175th anniversary edition dated September 15th. And on that Saturday, the newspaper will host the Open Future Festival, to be held simultaneously in Hong Kong, London and New York. There will also be an Open Future essay contest for young people; surveys and other data visualisations; podcasts; social-media programmes and new video from Economist Films. 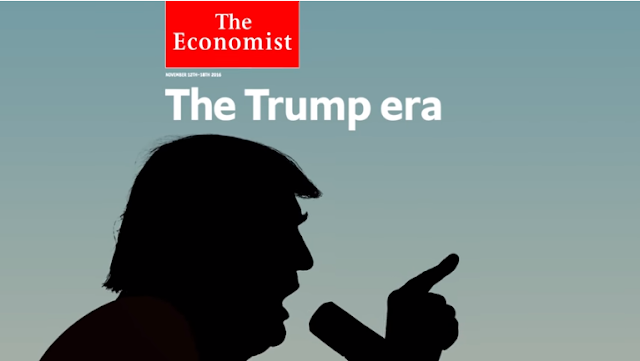 With a growing global audience and a reputation for insightful analysis and perspective on every aspect of world events, The Economist is one of the most widely recognised and well-read current affairs publications in the world. In addition to the weekly print and digital editions and website, The Economist publishes Espresso, a daily news app, Global Business Review, a bilingual English-Chinese product and a Economist VR, a virtual-reality app. Economist Radio produces several podcasts a week, and Economist Films produces short- and long-form video. The Economist maintains robust social communities on Facebook, Twitter, LinkedIn, Snapchat, LINE, Medium and other social networks. A recipient of many editorial and marketing awards, The Economist was recently named the most trusted news source in the 2017 Trusting News Project Report.